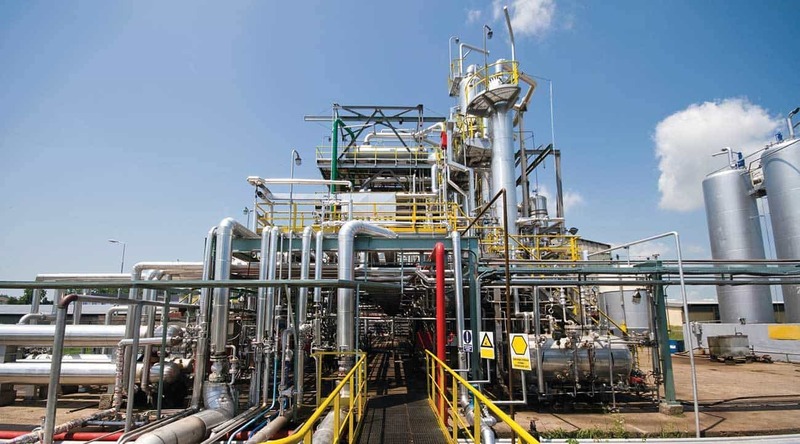 Managers of petrochemical, refining, power, offshore, pulp and paper and other facilities with extensive hot processes and piping systems are frequently challenged with performing all the necessary coatings maintenance work only during periods of outages. Outages are required so that process equipment can be properly maintained and repaired including cleaning of pipelines and vessels, maintenance and replacement of pumps, motors and valves, maintenance coating operations, and other work that can only be accomplished when the operations are shut down. When coatings work has to be performed on areas where elevated temperatures are involved, many think that the facility has to be shut down. This may not be the case. A question frequently posed by facility managers is, “Can I do maintenance painting work while the plant is operating?” As described below, the answer is, “Yes you can, but there are safety and health issues that must be considered”. 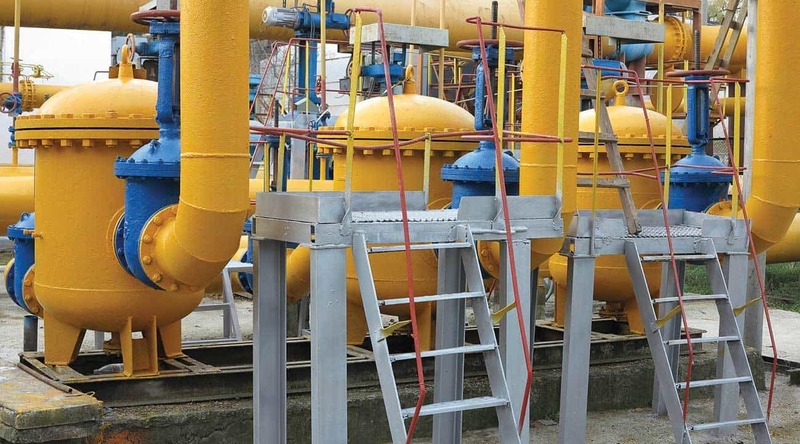 There is a range of safety and health hazards that must be considered on every industrial maintenance painting project, whether the coating material is being applied to hot steel or not. Some of these include proper material handling and storage, fall protection, control of fire and explosion hazards, and exposure to noise, heavy metals, solvents and other health risks. These risks must be properly evaluated and controlled on every industrial maintenance painting project, regardless of when or where the work is performed. While present on any job, when applying specialty coatings to hot surfaces, some safety and health issues should receive additional consideration. The concept of flash point as defined by NFPA 30 is “the minimum temperature of a liquid at which sufficient vapour is given off to form an ignitable mixture with the air, near the surface of the liquid”. In other words, the flash point describes the temperature of the liquid that is high enough to generate enough vapour to create a flame if a source of ignition were introduced. For vapours of flammable liquids, there is a minimum concentration below which the spread of the flame does not occur when in contact with a source of ignition. This is the Lower Flammable Limit (LFL). There is a maximum concentration of vapour in the air above which the spread of the flame does not occur. This is the Upper Flammable Limit (UFL). The flammable range is between the LFL and the UFL, when the concentration of vapours can support combustion. Dangers to personnel must be managed regardless of when or where work is performed. Applying coatings to hot surfaces increases the rate at which the solvents are driven off. When applying solvent borne coatings to hot surfaces it must be assumed that the concentration of vapours in the air could exceed the LFL (at least for a short time after application). 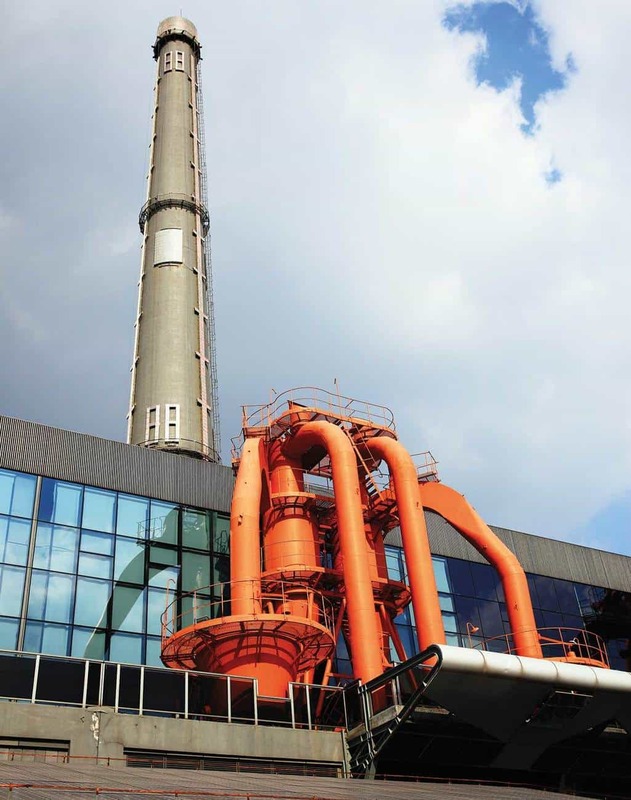 As with coating application to ambient temperature steel, controls must be implemented. While the LFL is likely to be achieved over a shorter period of time during hot application of coatings than coatings work performed at ambient conditions, the resulting fire hazard exists in both applications. That is, the fire hazard and associated controls must be considered for the application of any solvent-borne flammable coating system, regardless of the work environment. It must be recognized that the fuel component of the fire tetrahedron will be present in both ‘hot’ and ‘ambient’ environments and basic steps must be taken to minimize unnecessary solvent vapours in the work area. In addition, as outlined later, attention must also be directed to eliminating the remaining element of the tetrahedron – the source of ignition. Ventilation during coatings application should be continuous, especially when working on hot surfaces. The fuel element of a fire can be reduced by implementing basic controls such as handling and storing flammable liquids in approved, self-closing containers, keeping the number of flammable liquids containers in the work area and in storage areas to the minimum necessary and within allowable (regulatory) limits. Alkaline detergents such as tri-sodium phosphate may be substituted, followed by surface washing with fresh water or steam cleaning and pH testing of the surface, or non-combustible solvents such as 1,1,1 trichloroethane) for pre-surface preparation solvent cleaning. Combustible gas indicators should be used to verify that the concentration of flammable vapours is below the LFL. Combustible gas indicators must be calibrated in accordance with the manufacturer’s recommendations and must be approved for use in flammable atmospheres. Operators of the equipment must be trained in proper equipment operation. Readings should be taken in the general work area and the vicinity of the operator and in areas where there are potential sources of ignition. Typically, units are set to alarm at 10% of the LFL. If the alarm sounds, coatings application work should immediately cease until the concentration of flammable vapours is controlled. The purpose of setting the alarm below the LFL is to provide a safety factor that results in control measures being implemented before there is an imminent danger of fire or explosion. Monitoring of the flammable vapour concentration will be necessary as the effectiveness of natural ventilation may be variable. If control of flammable vapours requires mechanical ventilation, an occupational safety or health professional or engineer with experience in industrial ventilation should be consulted. At a minimum, mechanical ventilation systems should provide sufficient capacity to control flammable vapours to below 10% of the LFL by either exhaust ventilation to remove contaminants from the work area or by dilution ventilation through introduction of fresh air to dilute contaminants. As with combustible gas indicators, ventilation equipment must be approved for safe use in flammable atmospheres. In addition, ventilation equipment must be grounded and bonded. Additional ventilation, if needed, should be continuous during coatings application as concentrations may increase as more surfaces are coated during the course of a work shift, and especially on hot surfaces where the rate of vaporization is higher. If safety procedures are followed, outages may not be required while maintenance is performed. When applying coatings to hot surfaces, the first source of ignition that readily comes to mind is the heat from the surface being painted. The AIT of the coating material is the single most important issue when applying coatings to hot operating equipment. The AIT of a substance or mixture is the minimum temperature at which a vapour-air mixture will ignite when in contact with a heated surface, without the presence of any open spark or flame. The key to controlling this source of ignition is to verify the surfaces being coated are below the AIT of the coatings being applied. While surface temperatures may be known/available in many facilities, all surface areas of the process/piping being painted and/or any equipment adjacent to the items being painted where overspray may deposit should be measured for actual surface temperature. The results should be compared to the AIT of the coating system. While auto-ignition and open sources of ignition may be readily apparent, a more subtle but nonetheless critical source of ignition to control on any industrial painting project involving flammable solvents involves the production of static electricity. Equipment associated with the spray-painting operation, such as spray application equipment and ventilation equipment, can generate static electricity. In addition to external sources of ignition, spontaneous ignition can occur when rags or wastes soaked with paint solvents are left in open containers. Spontaneous ignition occurs when the slow generation of heat from oxidation of organic chemicals such as paint solvents is accelerated until the ignition temperature of the fuel is reached. This condition is reached when the material is packed loosely allowing a large surface area to be exposed, there is enough air circulating around the material for oxidation to occur, but the natural ventilation available is inadequate to carry the heat away fast enough to prevent it from building up.